Man Ray, originally named Emmanual Radnitsky was born in 1890 in Philapdephia. 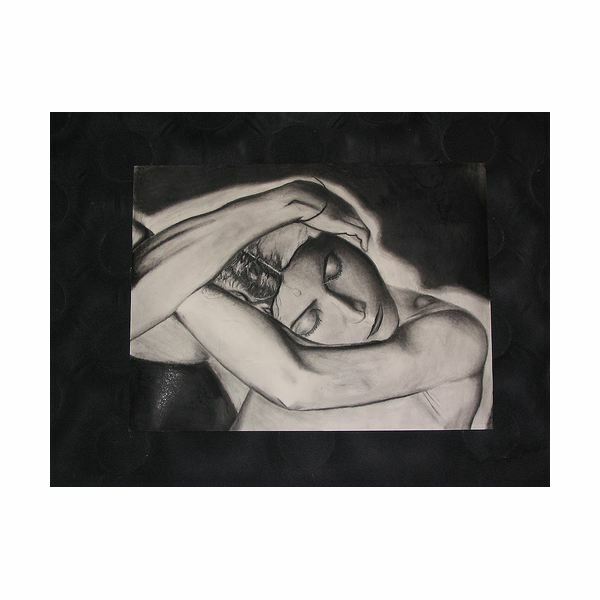 Man Ray started out as a painter, who only used photography to record his paintings. Man Ray went to classes in 1910 and 1911 at the Ferrer Center to learn more about drawing and watercolor in New York. In 1914 he appears to have given up his family name and become Man Ray, as this was recorded on his marriage certificate to his first wife, Adon Lacroix. By 1915 he had procured his first solo exhibition. This exhibition was of his paintings and etchings, at this show Arthur J. Eddy buys six of his paintings for $2000. He used his photographic reproductions to publicize his work and it was not until he saw how Alfred Stieglitz used his camera in his gallery in New York that he considered using photography as a means of doing something other than preserving his paintings. After splitting up with his first wife Man Ray made the decision that he would take up photography. The real turning point for Man Ray was his move to Paris in 1921. 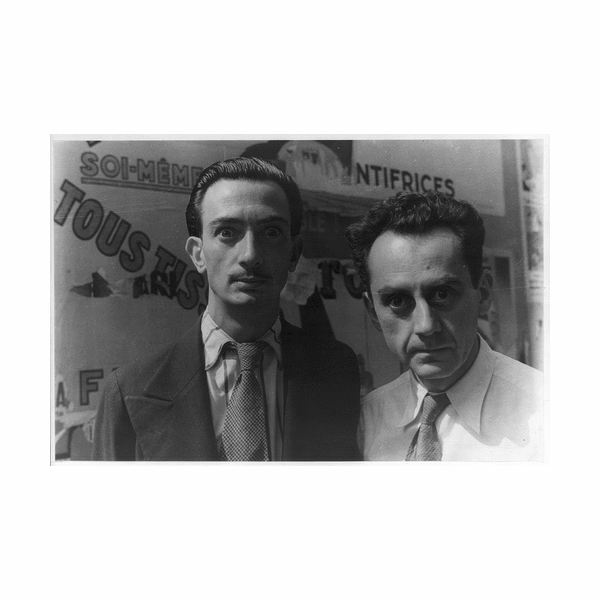 Man Ray was already a good friend of Marcel Duchamp and it was this connection that led him to be welcomed into the Dada group. By 1921 Dada was in crisis and the other participants; Tristan Tzara, Francis Picabia, Phillipe Soupault, Louis Aragon, Andre Breton, and Jacques Rigaut accepted him as a photographer even though his experience was fairly limited. Man Ray was useful to them for recording their own artistic activities and he was unique in that they had no other photographers in their group at the time. Man Ray’s best work was achieved in Paris between 1921 and 1940. During this period Man Ray experimented, he had no real formal training and therefore his approach to photography allowed for “mistakes" in the darkroom, these mistakes assisted him in finding what he was looking for in photography. Man Ray enjoyed the random nature of the medium, that he could overlap images in the darkroom, create doubles and reimagine dreams. Man Ray was also successful as a commercial photographer and shot portraits, worked for Vogue, Vanity Fair, Harpers Bazaar and many other magazines of the time. Man Ray also worked on advertising campaigns such as Pond’s Cold Cream and Wrigley’s Gum. Man Ray tended to dismiss this commercial work and was far more interested in the surrealist images and films that he was making with other artists. Surrealism began in 1924 with Andre Breton’s Manifesto of Surrealism. Surrealism had come out of Dadaism and many Dadaists had moved to the Surrealist movement. For the first five years, Man Ray was the only photographer to have made that shift. Therefore, Man Ray’s were the only photographs to appear in the first Surrealist magazine, La Révolution Surréaliste. The Surrealists were interested in making work “automatically," the idea being that rational thought was not applied to the work. In automatic writing, the sitter writes the first things that come to mind while in a trance-like state. Many Surrealist writings and poems were made by this method. Photography worked automatically and therefore was a perfect medium for Surrealistic imagery. Man Ray described photography as “unreality contained in reality itself" (Heitling M. 2008:20). The other things that interested Surrealist thought and artworks were the unconscious and dreams, sexuality, feelings, intuition, accidents, random ideas, mechanical objects and madness. Salvador Dali’s paintings used ideas of memories and dreams to depict the unconscious world. Dali’s Persistence of Memory from 1931 shows clocks melting over a barren landscape. The imagery is beautiful and yet disturbing. Man Ray equally explored these ideas through his photographs. People appear twice in double exposures, heads are removed or covered, extra body parts appear that are false or the wrong shape and size, objects seem to become more human and humans become more like objects. Man Ray and Surrealism turns everything around to what you are least expecting. Through his experiments, Man Ray invented new photographic techniques. These techniques advanced photography from mere pictorial representation and reproduction to something that could be considered a malleable art form. Man Ray treated photography as he had treated his paintings. He retouched, reinvented, reversed, inverted and dramatically changed the original image into something new. Man Ray invented the Rayograph or Photogram in early 1922. This technique was a way of capturing images without a camera. This effect is achieved by placing objects on photographic paper and then exposing them to light for a few seconds. The photographic paper is then processed in the normal way, achieving a reverse image. Christian Shad, who was part of the Zurich Dada group and had placed flat objects on sensitive paper, probably inspired Man Ray. Schad used no darkroom and his images tended to be akin to Cubist collages. Man Ray wanted more control over the image and used the darkroom technique so that his images would be fixed and he could experiment with three dimensional objects and shadows. Man Ray further advanced this technique by creating images that were both reversed and positive images. In 1930, Man Ray invented Solarization with Lee Miller . This process had been discovered in 1857 but had only been discussed as a curiosity. At the time, Miller was a student of Man Ray and was in the darkroom developing images when she felt something move across her foot. In a panic, she switched on the light and exposed all the images. Man Ray saved the images and looked at them later. He discovered that backgrounds were dark but there was a clear line between the white body and the background. This is what he called Solarization. Man Ray worked on perfecting the technique. He experimented until he came up with a process that worked to dramatically affect his images. The technique was kept secret until 1933. In 1934, this technique was demonstrated at “The French Society of Photography." Man Ray and Lee Miller were credited with inventing Photographic Solarization for artistic purposes. 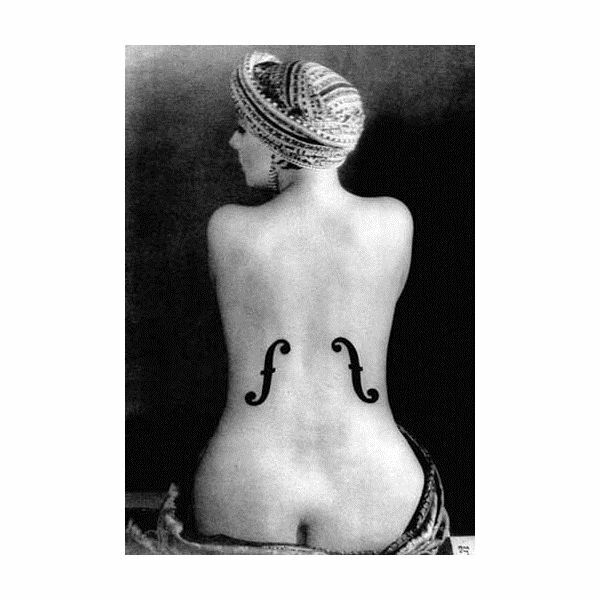 Man Ray's achievements as an artist and photographer owed much to his sheer spirit of discovery. Man Ray enjoyed experimenting and trying out new and different things and he continued to do this in Paris until 1940, when he returned to New York. Man Ray's last works were published in 1944 in Harper's Bazaar. Man Ray died in Paris on November 18, 1976.